Salary : - INR Rs. 2745-50-4245/- (for GDS BPM), Rs. 3635-65-5585/- (for GDS Packer), Rs. 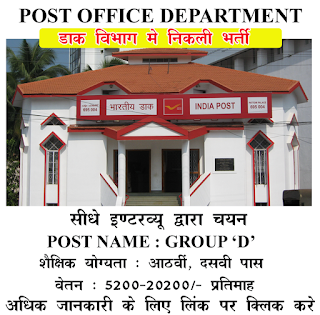 4220-75-6470/- (for GDS MD), Rs. 2870-50-4370/- (for GDS MC). 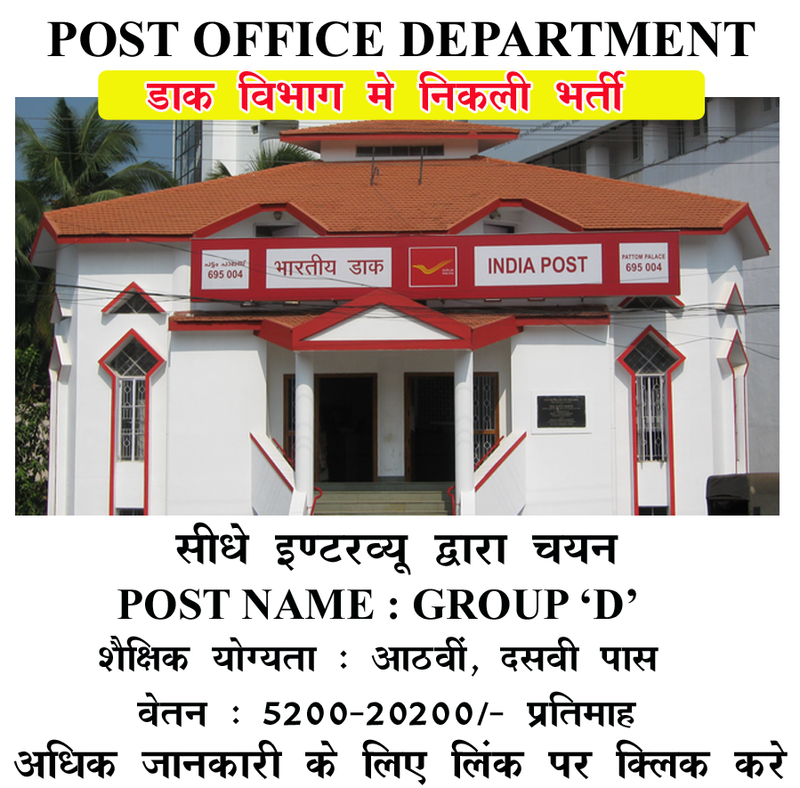 How To Apply: - All Eligible and Interested candidate Student may fill the online application through official website http://www.indiapost.gov.in.before on the last date 19-04-2017. Last Date:-Last Date for Registration of Online Application Form Is 19-04-2017 .